Bartha Maria Knoppers, PhD (Comparative Medical Law, Sorbonne, France), is a Full Professor and Director of the Centre of Genomics and Policy, Faculty of Medicine, Human Genetics, McGill University. She holds the Canada Research Chair in Law and Medicine (Tier 1, since 2001), and she is the founder of the Population Project in Genomics (P3G) and CARTaGENE Quebec’s population biobank. Chair of the Ethics Working Party of the International Stem Cell Forum (2005-2015); Co-Chair of the Sampling/ELSI Committee of the 1000 Genomes Project (2007-2014); Scientific Steering Committee Member of the International Cancer Genome Consortium (2009- ), she is Co-Chair, Regulatory and Ethics Working Group, and one of the Founding Members of the Global Alliance for Genomics and Health. In 2016, Bartha Maria Knoppers was named a Commander of the Order of Montréal. 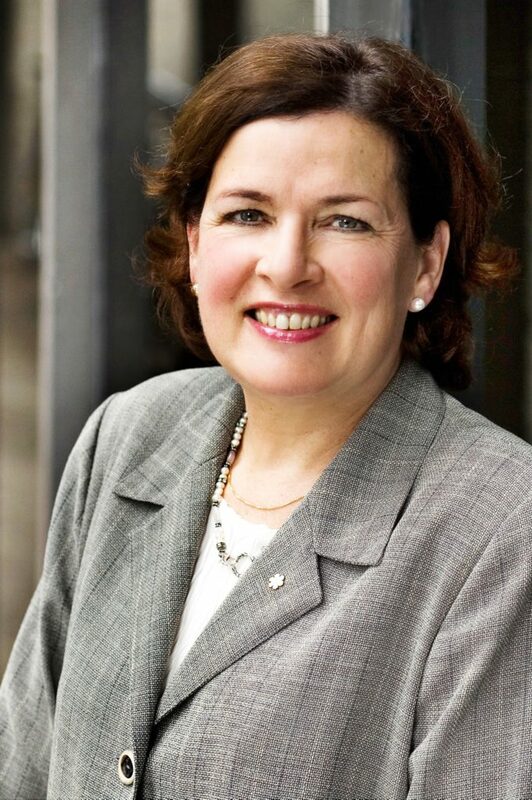 She received the Medal Paul-André Crépeau for her work in comparative medical law (The Canadian Bar Association) in 2015, and was inducted into the Academy of Great Montrealers in the Scientific category in 2014 by the Montreal Board of Trade. She was named Champion of Genetics by the Canadian Gene Cure Foundation (2013), and received the Montréal InVivo Prize for the life sciences and health technologies sector in 2012. She holds four Doctorates Honoris Causa and she is Fellow of the American Association for the Advancement of Science (AAAS), the Hastings Center (bioethics), the Canadian Academy Health Sciences (CAHS) and, most recently in November 2016, she was named Fellow of the Royal Society of Canada (Academy of Social Sciences). She is also an Officer of the Order of Canada and of Quebec. Bartha Maria Knoppers is also a member of the CCA’s Board of Directors.